British industrial designers John Abrahams and Ben Smith share a mutual contempt for carrying unwieldy bike locks. Inspired by bike messengers and urban riders who circumvented the problem by wearing their chains or cables as a belt, the duo came up with the Hiplok–a refined version of the concept that netted the company a prestigious Eurobike Design Award back in 2013. 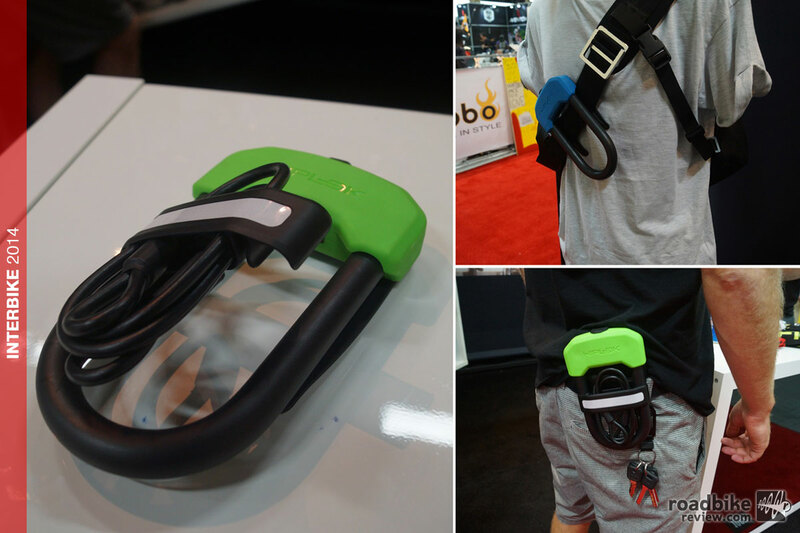 This year they’re back with the DC, a $90 wearable U-lock and cable combo that clips to a bag strap or belt for comfortable transport. And if you’re wondering about the name, “D” is for D-lock–the UK’s term for a U-lock–and “C” is for cable. The DC clips to either a bag strap, belt or pcoket (right) and includes a reflective plastic bridge that carries the included cable. Like the original Hiplok, the DC is a simple and elegant solution that makes the lock’s heft disappear, particularly when clipped to a messenger bag strap. The U-lock itself boasts a “Silver” rating from lock standards group Sold Secure and adds a cable to loop through wheels and other parts. A snap-on plastic bridge carries the cable during transport. 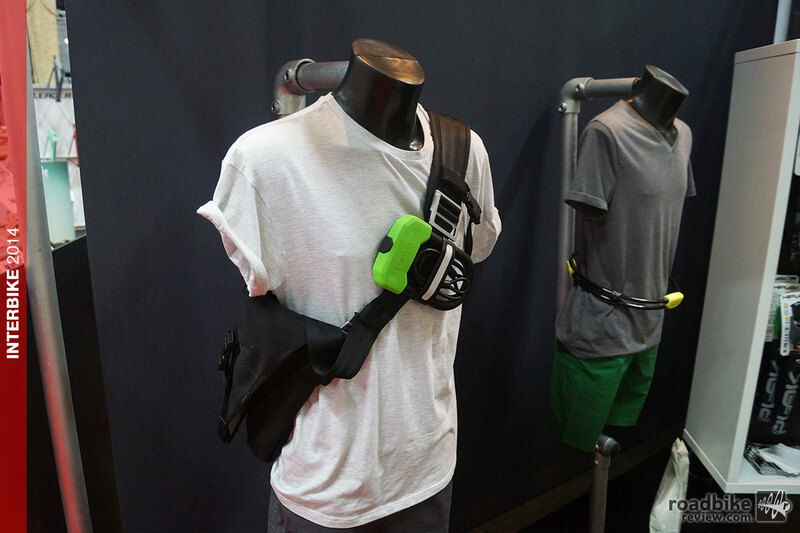 This article is part of RoadBikeReview’s coverage of the 2014 Interbike trade show in Las Vegas. For more from Interbike CLICK HERE.